Las Vegas Sands owns the Venetian and the Palazzo casinos on the Strip, along with the Sands Expo convention center in Vegas and Sands Macao. 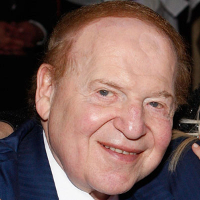 The Fool has written over 800 articles on Las Vegas Sands. Marina Bay Sands may have already seen its best days. Great dividends from energy to entertainment. Macau's growth sent shares higher, but there are some concerning signs heading into 2018. Shares of Wynn Resorts, Las Vegas Sands, and MGM Resorts International are down on the news. Macau's gaming revenue is finally growing again, which has investors excited about gaming again. Speculation of a Macau recovery helped Las Vegas Sands Corp. in July. Earnings were weaker than expected, but were they really that bad? Earnings were down at Las Vegas Sands Corp., but is this sell-off deserved? Industry, sector and description for Las Vegas Sands.